A recent study published in the journal Applied Physics Letters details an important finding that could advance a type of solid state power generator with broad application potential for clean energy. By using analytical software called Warp, researchers found that electron reflection may have previously been misidentified in the study of thermionic energy converters, but also that a certain type of electron reflection could be leveraged to increase power generation in these devices. In 2015, Jared Schwede and Daniel Riley co-founded Spark Thermionics as fellows at Cyclotron Road. The pair had spent years investigating thermionic energy conversion, an approach to generating electricity from heat that had been largely shelved since the space program stopped using it in the early 1970s. They believed modern microfabrication techniques could open up new opportunities to commercialize thermionic energy converters (TECs) for a range of low-carbon applications such as harvesting waste heat in photovoltaic systems. The startup is developing TECs that can turn any heat source into electricity efficiently and with a small footprint. Spark Thermionics’ TECs are devices roughly the size of a SIM card and contain pairs of metal plates. When a heat source is applied to one side of the device, electrons travel through a tiny gap between the plates, producing electric power. But as they cross the gap, the negative charge of the electrons also forms a sort of force field, called space charge, that reduces the total power produced by the device. Some of the electrons also reflect back when they reach the opposite side, further reducing the power and adding to the space charge. The bigger the gap and greater the electron reflection, the lower the total power produced by the TEC. While the effect of gap size on space charge was thoroughly researched during the thermionics field’s 1960s heyday, the more complicated phenomenon of electron reflection has seen limited study. 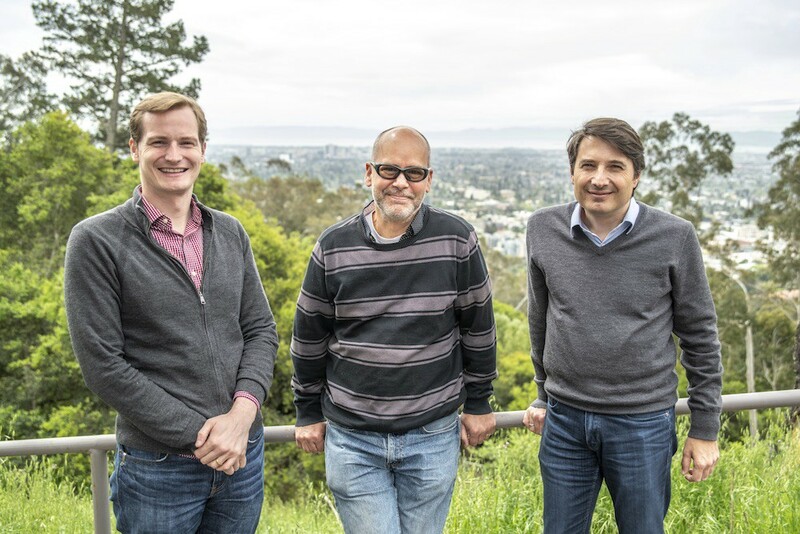 At Cyclotron Road, Schwede worked with Jean-Luc Vay, a Berkeley Lab senior physicist whose research focuses on advanced modeling of particle accelerator physics and technology. Vay, along with two of his colleagues from Lawrence Livermore National Laboratory, David Grote and Alex Friedman, helped develop Warp, an open-source software tool devised to simulate and study particle accelerators. After learning about TECs from Schwede, the scientists thought their software could prove useful for better understanding the inner workings of a TEC device — specifically electron reflection. In 2015, Ian Lim, then a Stanford undergraduate, took a summer research internship with Spark Thermionics, charged with using Warp to simulate the movement of particles inside TECs. “Without too much work on my part, we were able to create the structure of a converter — two plates and a vacuum — in the software. I coded up the boundary conditions based on things like how hot the plates are, and then Warp simulated the interactions based on the laws of physics,” says Lim. 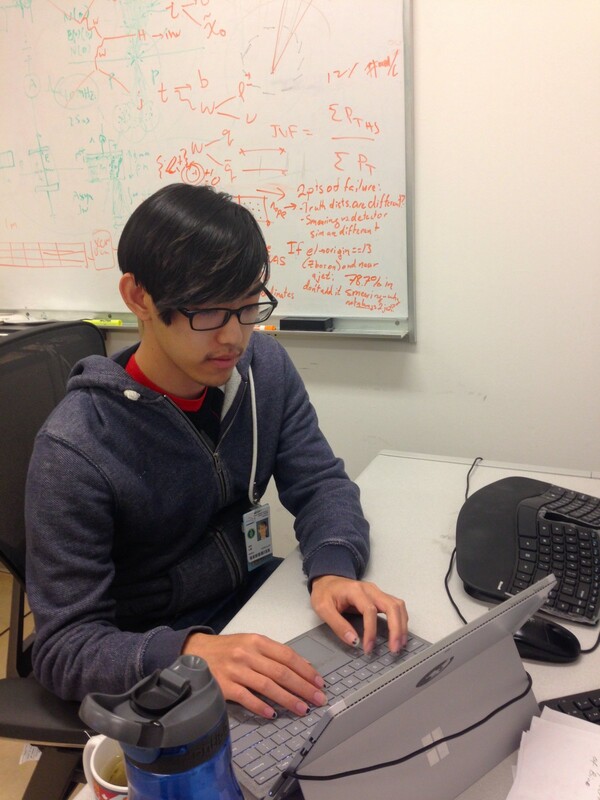 Ian Lim at his desk. “People had thought electron reflection was a problem [in TECs] so our objective in using Warp was to discover what effect reflection has on the performance of thermionics,” says Schwede. In a series of simulations with different gap widths, Lim set up Warp to show how much reflection was contributing to space charge in TECs — and the size of the resulting current. The simulations could parse specular reflection — in which an electron ricochets predictably like a dribbled basketball — from randomly directed diffuse reflection, a subtlety that had not been looked at before. Schwede was immediately surprised by the results, which confirmed that electron reflection could be playing a far bigger role in the performance of TECs than previously thought, but also suggested a potential solution. When the simulated reflection was diffuse, many of the electrons still had a chance of being absorbed by the plate to produce power. Spark Thermionics is now working with Andreas Schmid, a scientist with Berkeley Lab’s Molecular Foundry, to take the study’s findings from the virtual to physical realm, using a low-energy electron microscope. Though it was designed to study surface magnetism, Schmid and Schwede are using the microscope to study TECs, isolating the emitter from the collector and looking at each individually, under different temperature, to watch electron absorption. “We can test materials and techniques that optimize the reflectivity property,” Schmid says.